It has been a while since I last posted! Things I have been busy with – LIFE! Things I have not been busy with – my blog. I really want to blog more. If you want me to blog more, please comment below or like this post. It really gives me the motivation to be consistent with my writing, and lets me know that there are people out there interested in what I write. Thanks readers for following me, and sticking with me, even when my posts are inconsistent. Today I have for you a recipe. 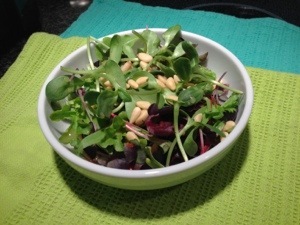 It is quick, easy, healthy and delicious! 1. Wash and dry kale, remove middle rib. Stack 5 kale leaves together, roll into a tight cylinder. Slice into thin strips. Repeat with the remaining kale, and transfer to a large bowl. Sprinkle with a bit of sea salt (approx 1/4 tsp). Massage kale and sea salt together until kale leaves are softened. 2. Blend all ingredients for salad dressing together in a blender. 3. 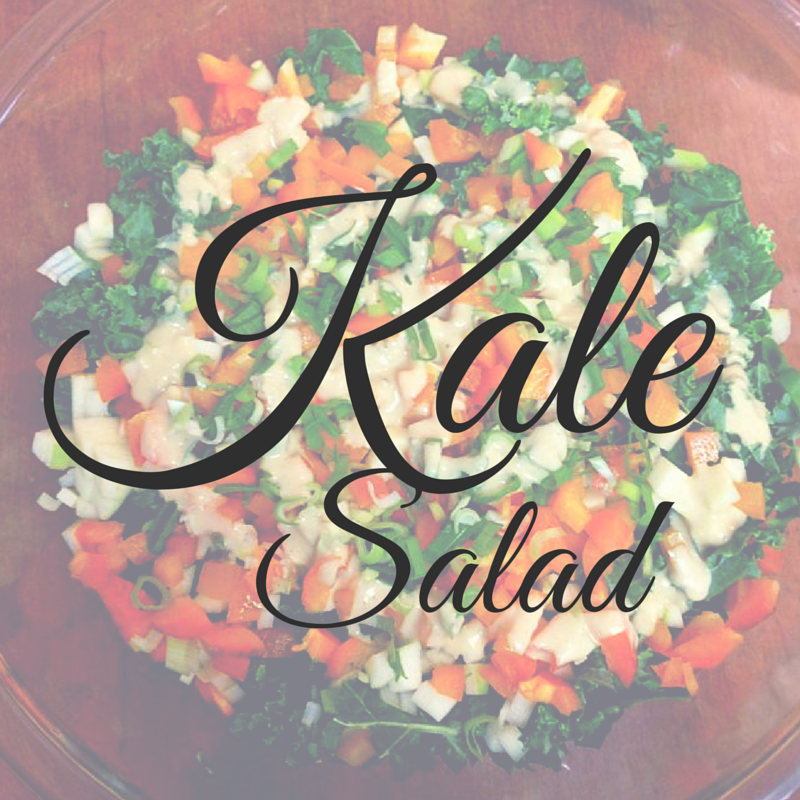 Pour dressing over kale mixture, mix well. Let it sit in the fridge for an hour or two before serving so that flavours have a chance to develop. Categories: Cooking, Food, Gluten free, Recipe, Vegan | Tags: Gluten free, Kale, Recipe, Salad, vegan | Permalink.